Four well chosen pillar lengths constitute standard range, namely 65,5; 150; 234,5 and 319 mm. Radius can in this way be tailor made to your needs and wishes. If that was still not good enough, we are making custom pillar lengths between 30-650 mm. 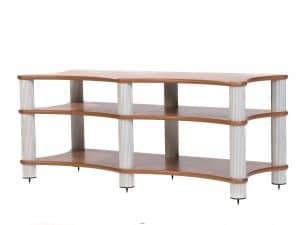 Radius standard racks are available in ten different sizes from 680 mm to 2180 mm length, seven different shelf variants and two different pillar colors, the choise is entirely yours.